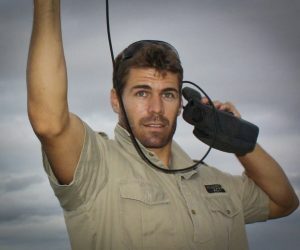 I grew up in a small town in Northern KwaZulu-Natal, close to Zululand, and was fortunate enough to enjoy many wildlife adventures as a youngster. After my schooling I attended Stellenbosch University in the Western Cape where I completed my degree in commerce and economics. It was during our university days that Simon, Chris and I crossed paths for the first time and became friends. I moved to Cape Town to complete my postgraduate degree, and then started working for one of the big advertising and marketing agencies in South Africa, which amongst others, handled the marketing for the World Wildlife Fund (WWF) in Southern Africa. Growing up in rural Africa, I have always been aware of the fact that wildlife conservation efforts and community development needs did not always meet. This is when I made the decision to leave the 9 to 5 world and help establish Wildlife ACT, a company which could address this mismatch between wildlife conservation and social upliftment of rural communities. I’m so proud to be one of the founding members of an organisation that has the ability to make such a big contribution to the sustainable preservation of one of the world’s most diverse and threatened ecosystems.